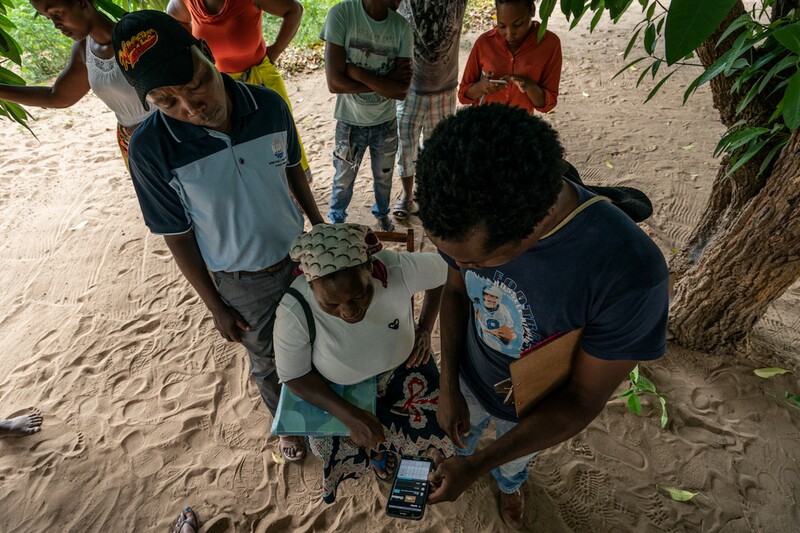 When Rare staff and community leaders in the Fish Forever program first set out to register fishers prior to deploying the Android app, OurFish, the main objective was to fill data gaps in small-scale coastal fisheries. By registering fishers, communities are better able to gather data about their fisheries’ production. Management units, as well as regional and national governments, can then monitor, analyze, and share critical information regarding fish stocks. In the near future, registered fishers will also be able to track their finances with regular statements about how much money they’ve made. With fisher registration and OurFish, coastal communities in a number of countries are already noticing a difference: municipalities are better able to manage who’s fishing what, and fishers are able to start thinking about saving for the future. 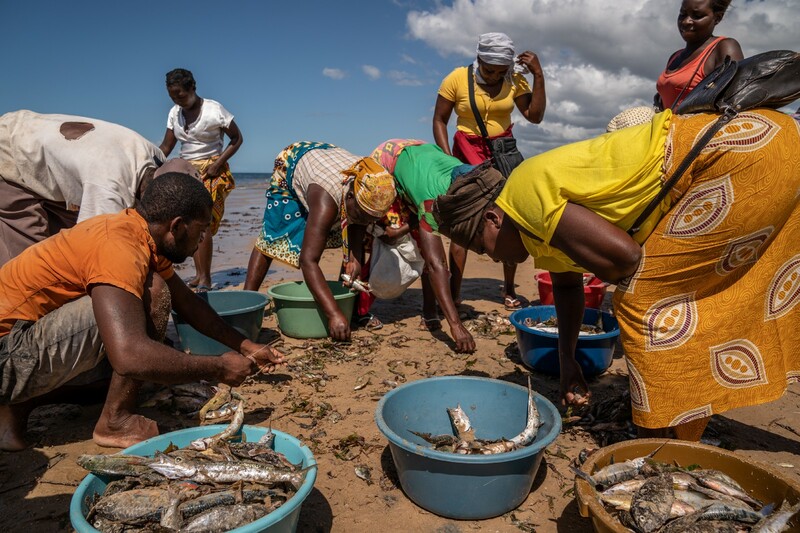 During a recent trip to Mozambique, Rare staff uncovered that registering fishers was doing more more than gather data; it was also creating positive emotions and social incentives that supported conservation behaviors. Along the coast of Mozambique, there is a longstanding tradition of fishing. It provides the mainstay of local food and jobs in the country, and 85 percent of the fish caught is by small-scale fishing operations. On an average day in the community of Fequete, boats drop nets up to 4 miles in length. Once the nets are in the water, 10–15 fishers standing on the beach will haul them in. This process, known as beach seine, takes around four to five hours. Fishers lay their catch out on the beach, while women, the main buyers, count the fish, sorting them by size. Once the buyers have assessed the catch and taken their share, they decide on a price, and both groups part ways until next time. Fishers and buyers count and sort fish from the day’s catch. Through conversations with community members, Rare staff discovered there was no record of fish catches or who was involved. This dearth of data wasn’t ideal for the sustainability of the ecosystem or fisher and buyer livelihoods. The solution would certainly require data, but it would also require new norms. For the introduction of fisher registration and OurFish to truly be a success, it couldn’t just facilitate a great data platform that filled a fisher’s or buyer’s need. It also needed to represent a socially accepted and valued process in the greater community. Fisher registration marks a crucial first step in using the OurFish app. The registration system allows all catch records to be linked back to individuals. When the app was demonstrated at our host site in Mozambique, word spread quickly about its benefits. Soon fishers were lining up to register. The line served as a visual cue that a new norm was forming; as fishers noticed friends, neighbors, and respected fishers in their community waiting to register, they joined in. Upon hearing about the formal fisher registration cards that they would receive, fishers beamed with a familiar emotion to us: pride. “It means I am a real fisherman,” said Felipe Viegas, a 33-year old fisher from Fequete who has been fishing since he was 12. Stories like the one in Mozambique show how behavioral principles like emotional appeals and social incentives can enhance the impact of fisher registration as well as the OurFish app. The fisher registration system legitimizes and professionalizes an individual’s identity as a fisher. This process instills pride in oneself and the greater community that contribute to a more sustainable fishery. The positive group norm of being a registered fisher is a desirable one, which motivates other fishers to register and use the app. Regular use of OurFish then reinforces registered fishers’ identities as visible members of a community and as individuals dedicated to conservation behaviors. As more and more fishers register, the sustainable fishing practices become a set of an increasingly powerful norms throughout the community. With behavioral science around emotions and norms embedded into the Fish Forever program’s core design features, fisher registration and OurFish will help coastal ecosystems and fishing communities in Mozambique and other countries drive both data collection and individual and community pride to support coastal fishery management for the long term. Subscribe to the Center’s “Behavior Beat” newsletter here.